Christine's Delivery Memories - Building Families, Inc. 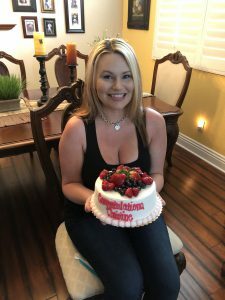 Surrogate Mom Christine had the most delicious celebration cake as she shared her birth story with us! Even though she was told how amazing this experience would be, she said it was better than she could have imagined. 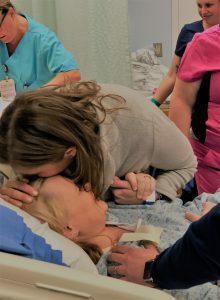 Her favorite part was when the brand new Father thanked her for allowing his wife to be right by her side during labor and the delivery of their new baby. This melted everyone’s heart!